From a bed in a hostel for around €30 per night up to a luxury suite in 5 star or palace hotel that could set you back upwards of €10,000 per night, through to themed and unusual accommodations such as a boat or a room with levitating bed and bath, an Aparthotel, which is just like having your own apartment, the choice is yours. So depending upon your needs, and of course your budget, there are thousands of different types of accommodation in Paris that you can choose from, whether you need to be in a certain area, are staying for business, a romantic weekend away, or even organising your entire wedding in Paris, you will definitely find what you are looking for. 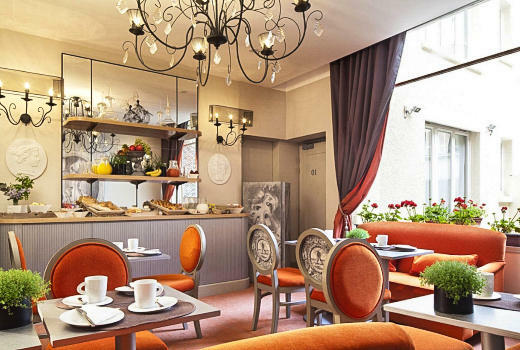 Often classed as Budget Hotels, there are plenty to of 1 star hotels to choose from in Paris, although most are found on the outskirts or close to certain areas of the city like train stations or Montmartre, but this normally means popular tourist attractions such as The Louvre are not often within walking distance. Typical of Paris, most have very small basic rooms some with shared facilities where the bathrooms will be in a hallway, and often located within an old building, many do not have a lift to access upper floors, nor do they have creature comforts like air conditioning or even a TV within the room, although these days most 1 star hotels do offer WiFi. 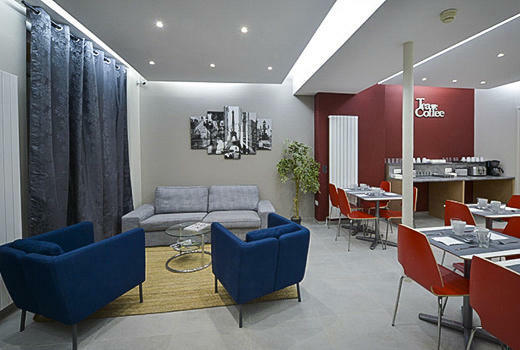 You will find that 2 Star Hotels in Paris can vary greatly with the facilities that they offer, and the majority of them still have relatively small rooms, although they have en suite bathrooms and most do come with a TV, even Satellite TV, plus WiFi internet access, the majority of them being free. A lot of the 2 star hotels have been upgraded to include more up to date facilities for added comfort such as a lift for easier access, air conditioning and in some cases personal safes within the room, not forgetting that most have a 24 hour reception and some concierge services as well. The most common type of accommodation booked are 3 star Hotels in Paris, being the middle of the road on the facilities it offers, which normally means the same scenario when it comes to cost, however, the old saying of location, location, location does play an important role when it comes to what you will pay. Many are hotel chains rather than family run, but with multilingual staff offering concierge services along with other facilities such as printing or faxing and luggage hold, they are generally more up to date with added extras like a personal safe or even mini bar and some rooms even come with a courtesy tray for making your own tea or coffee, which is unusual in Europe. 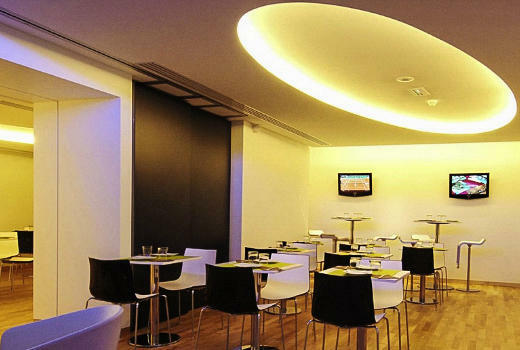 The majority of 4 star hotels will have dedicated business services along with function rooms that can be utilised for meetings or parties along with a bar and restaurant, plus breakfast is normally available as a buffet style more often than not with hot and cold options with a greater variety than you would get in a lower class of hotel. In addition to this, there are normally suites available for those of you who want that added comfort of a lounge within your room, plus many of the en suites will come with complementary toiletries bathrobes and slippers for additional luxury, along with laundry and dry cleaning services, room service, etc. Staying at a 5 star hotel has always been the ultimate in luxury and services with many boasting Michelin starred restaurants and you will find that most of the hotels in Paris within this category will have dedicated wellness centres with beauty treatments, massages, fitness centres and even spas and swimming pools. Offering numerous different services including valet parking, airport transfers, babysitting and tailor made packages for events such as a private party or wedding are just some of things you can expect, not forgetting luxurious rooms and suites with the latest technologies and much more to make your stay an unforgettable experience. However, France has added a category called a Palace Hotel, which goes above and beyond a 5 star hotel, with staff speaking multiple languages, personalised concierge services, numerous bars and restaurants for gourmet and haute cuisine dining experiences and unique aspects that differ from any other hotel. In fact, within a Palace Hotel in Paris you can find galleries for shopping, even a private cinema, chauffeurs, personal butlers, members only clubs, and suites that are more like an apartment, often with more than one bedroom and bathroom, a dining room and lounge, plus services dedicated to catering for children and much more. But on the complete opposite end of the scale, often referred to as backpacker hostels, they have always been the option for those on the tightest budget with the typical shared dormitories, yet many now cater for families or groups travelling together with private rooms available as well. In fact, many of them are now just as well equipped as a budget hotel offering different services such as personal lockers, free WiFi, USB charging points, even concierge services, breakfast, communal areas like a lounge, computer area, bar or kitchen for making your own meals and so on, which are still classed as the cheapest accommodation in Paris at an average of around €35 per person per night. 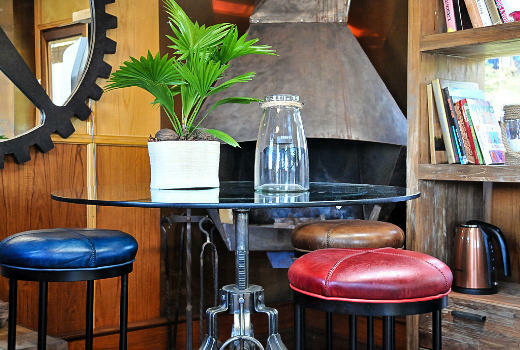 Rather than staying in a hostel, many people think that staying in Bed and Breakfast accommodation is the next cheapest option and sometimes it can be, although not always, as some are very luxurious or on a specific theme for an unusual stay in Paris that is more like staying in a hotel. 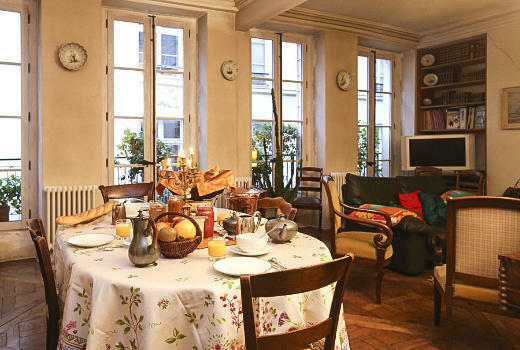 Yet many people opt for this type of accommodation so that you will be staying in a typical Parisian home with French hosts, eating breakfast as they do, and enjoying the city from the perspective of a local resident, being able to get information about their area that more often than not, only they would know. An Aparthotel is basically like renting an apartment, but with services you would get in a hotel, such as 24 hour reception staff and concierge services through to being able to order breakfast and they vary tremendously in price depending upon what types of facilities they have. Some are like a studio apartment, whereas others are more spacious with a home from home feel and all come with a kitchen area, somewhere to eat and relax, plus the Aparthotels in Paris are available for long term stays, which makes this option great for those of you who are visiting the city for an extended time, or those of you who do not wish to be eating out all the time. Yet there are also some unusual accommodations in Paris where you could enjoy a night on a boat, stay in an entirely eco-friendly lodge, a hotel with levitating beds, or themed rooms such as one based upon a traditional Parisian cabaret. There are also historical buildings that have been turned into different types of accommodation, plus there are rooms that have been designed to represent a specific person such as Coco Chanel or a character like James Bond and others based upon a specific period like going back to the time of Marie Antoinette. 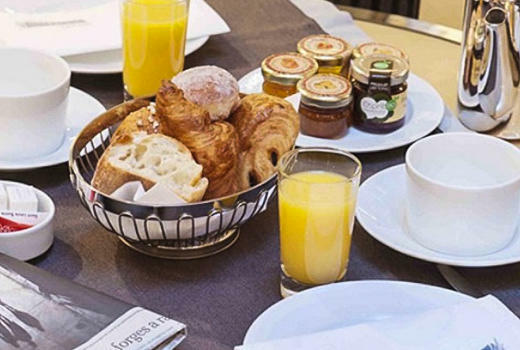 So no matter what your preferences or your budget, there are numerous different types of accommodation in Paris that can cater to your needs, including those that are disabled friendly and others that are pet friendly, not forgetting hotels with family rooms plus facilities for babies and young children.